Who Will Be The Next LucasArts? Lo, a contender appears! Enter Guacamelee, the would-be wearer of the Monkey Island belt. Guacamelee, the new game from Drinkbox Studios, arrives at a bittersweet moment in gaming. Late last week, flush with nostalgia for the just-closed LucasArts, the internet started passing around some wonderful photos of the studio's staff boxing up retail copies of the original Secret of Monkey Island, circa 1990. It's surreal to see one of the greatest games of all time being hand-boxed by its developers. It's also quaint. Game development staffs can now reach into the thousands, and labor is highly, almost comically, specialized. There's a guy at Crytek, it seems, whose job is just to animate grass. Here's wagering he doesn't box up copies of Crysis. The reason these photos are so poignant, even touching, is that they recall an era when games, even very big ones, felt crafted by the human hand, acts of idiosyncratic and personal communication, not big-business behemoths calculated to bludgeon us into compliance. That spirit hasn't died, but it mostly lives in the fingers of a generation of independent developers for whom expression is often more important than communication. It is one thing to make a game about your feelings, and it is another thing to make a game about your feelings that another human being will want to play. As you can probably tell by looking at the old Lucas Arts photos, those old adventures were made by people with really good senses of humor. Their games were hysterically funny, and still are, all these years later (in case you have never played the game, here is an online version of its seminal minigame, Insult Swordfighting, for you to try). Humor is notoriously hard to do in games, but when it works it is a profound act of communication between developer and player. You have to care about the player to make her laugh. That, to my mind, is one of the major factors separating the really wonderful indie games (Braid, Limbo, Ridiculous Fishing, the absurdities from Bennett Foddy) from the $1.99 masses. A generous sense of humor is the first thing you'll notice about Guacamelee. The game tells the story of Juan, a wordless agave farmer-turned-luchador called forth from his dusty fields to rescue the daughter of El Presidente from the clutches of an evil skeleton named Carlos Calaca, with the help of a pugilistic chicken named Combo Chicken and a magical, time traveling goat-hermit. Yes, it's funny. The humor, gentle and self-aware (a running joke involves the goat haranguing you for breaking his power-up statues), directly recalls LucasArts. It's obvious that the influence doesn't stop there. The world of Guacamelee, part Mexican folk culture, part Saturday morning cartoon, owes, and pays, a debt to the flat shapes and vivid palette of LucasArts' Dia de los Muertos masterpiece, Grim Fandango. (And I'm wondering if the second half of the game's title is a callback to Melee Island, on which the majority of the first Monkey Island takes place.) In case I'm not being clear: This indebtedness is a good thing. We need more games that take their inspiration from the medium's freaks and weirdos, not fewer. Guacamelee belongs to a beloved group of games that are loosely described as the "Metroidvania" subgenre. 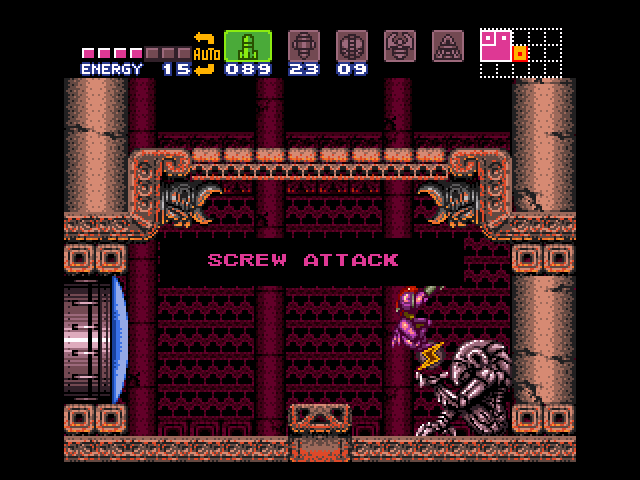 The portmanteau refers not to the two series, but to the two specific titles that defined this style of play, Super Metroid and Castlevania: Symphony of the Night. Metroidvania games typically involve a huge, byzantine two-dimensional map that the player slowly gains access to by solving puzzles and gaining new abilities. Here as well the game is quite aware of its borrowings (compare the "power-up" statuette here and the one in Super Metroid). Metroidvania games are known for an emphasis on craftsmanship and control, both aesthetic and schematic (no "procedural generation" here), and Guacamelee excels in both areas. This kind of gameplay suits the game's tone perfectly — tight mechanical control is one of the easiest ways to make possible scripted humor in games (and notably, The Cave, the new game from Monkey Island creator Ron Gilbert, also more or less fits into this subgenre). Drinkbox Studios, which made Guacamelee, is a 10-person shop in Toronto made up mostly of big-studio veterans. Ten is small, but not tiny. After I first played the game, last September in Los Angeles, I had a beer with a senior developer at Drinkbox. He described how his team came to make a game set in a kaleidoscopic Mexican-wrestling folk tale: Employees at Drinkbox submitted ideas, and the entire studios batted them around. The idea belonged to a junior staffer, but it was the best one, and so Drinkbox made the game. It's hard to imagine this kind of flexibility, or sense of group ownership, at a big studio. It's also hard to imagine this level of polish and meaningful developer-player communication from an impoverished one- or two- person development team. Drinkbox made Guacamelee with the aid of Sony's public fund, which covers development costs in exchange for exclusive distribution rights (you have to play Guacamelee on PlayStation 3 or Vita). The big, breakthrough indie games of the past year — Journey and The Walking Dead — were both made by mid-sized independent studios (and thatgamecompany, which made Journey, shares an even stronger financial association with Sony). Let's remember: The guys and girls who made Monkey Island were funded by the house that Luke Skywalker built. So maybe we're not entering a new age of corporate co-opting of the indie game ethos, as some have suggested. Maybe we're revisiting an old model that produced some of the best games ever made.